Cargolux Airlines International S.A. (Luxembourg) has announced the launch of a weekly service to Bamako, the capital of Mali, from December 5, 2013. 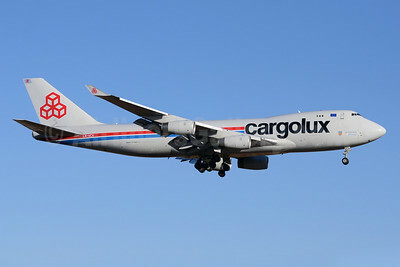 The flights are operated with the airline’s Boeing 747 freighters which offer main deck capacity for the transport of airfreight supplies that support the local industries in the areas of natural resources, telecommunications, healthcare and pharmaceutical products, perishables and general appliances. In 2010, Bamako Airport inaugurated a new cargo terminal with a yearly capacity of 10,000 tons and extended the runway to 3,180 meters, enabling the operation of large aircraft, such as Cargolux’s 747 freighters. Flight CV 7124 is operated every Thursday on the routing Luxembourg – Bamako – Lagos – Libreville – Nairobi – Manston – Luxembourg. Departure in Luxembourg is scheduled for 16.30 GMT with arrival in Bamako at 21:40 GMT. With this service, Cargolux connects another African destination to its worldwide network and offers shippers fast and reliable airfreight solutions to a market with growing importance. Cargolux’s African network now covers 13 destinations that show promising export potential with strong shipments for the oil and gas industry. Cargolux also offers direct services between the United States and Africa. Previously the cargo carrier started weekly service to Buenos Aires via Campinas (Viracopas) near Sao Paulo on November 13. Copyright Photo: TMK Photography/AirlinersGallery.com. Boeing 747-4R7F LX-VCV (msn 34235) approaches Johannesburg for landing. This entry was posted in Cargolux (Luxembourg) and tagged 34235, 747, 747400, 747400F, 7474R7F, Bamako, Bamako Airport, Boeing, Boeing 747, Boeing 747400, Boeing 747400F, Cargolux (Luxembourg), JNB, Johannesburg, Luxembourg, LXVCV on December 2, 2013 by Bruce Drum.